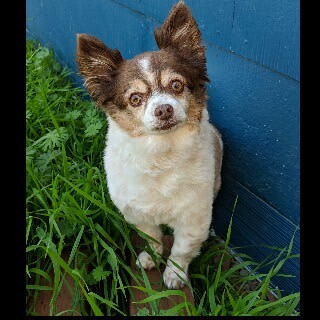 Bean is a Chihuahua/papillon mix. White with brown spots. Very friendly dog. Last seen in West Oakland on March 24.